In the preceding step, you built the files for the JSON type in your development environment. So that you can see your project's files, expand the Solutions folder, then expand the EmployeeDeptSect folder. Select Send To and then Integrator Folder from the context menu. 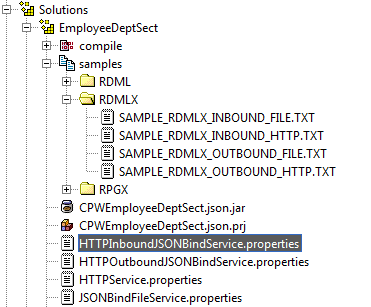 Highlight and right click the HTTPOutboundJSONBindService.properties file to open the context menu. a. Highlight the iiiEmployeeDeptSect.json.jar file to open the context menu. 7. 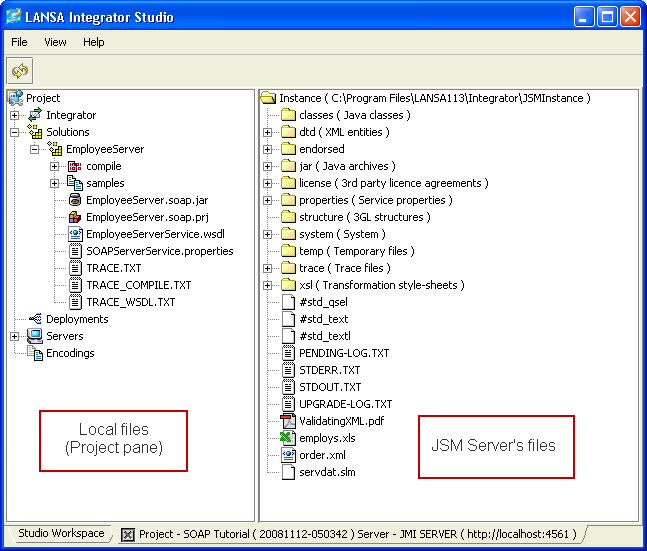 Create a section in the service properties file on the JSM server. 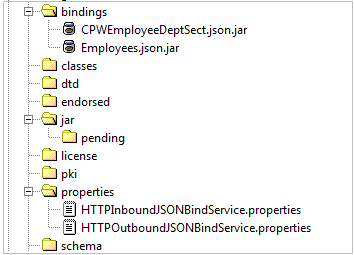 Highlight the properties file HTTPOutboundJSONBindService.properties in the properties folder of the Project pane.